WELCOME TO PIEROGI FEST®, WE’RE REALLY GLAD YOU CAME! Pierogi Fest® is organized annually by the Whiting-Robertsdale Chamber of Commerce and is the pride of Whiting. Drawing almost 300,000 visitors each year, it is the third largest festival in the state of Indiana. Each year, the fest features long running favorites, including the wacky Polka Parade, Mr. Pierogi® and friends, more food vendors than the Taste, specialty and arts and crafts vendors, beer and wine gardens, games, daily entertainment and fun for all ages! Pierogi Fest® welcomes all to celebrate Eastern European heritage while poking a little fun at the same time. Where else can you see grown women dressed up like their grandmothers (buscias, as they say) in housecoats and babushkas? Or a lawnmower brigade strutting through town with sandals and socks on like their dads did? You’ll also see life-size polish pastries and goodies walking and talking waiting to take a picture with you. But, if you ask Mr. Pierogi®, the story of Pierogi Fest’s® origins are a little different. 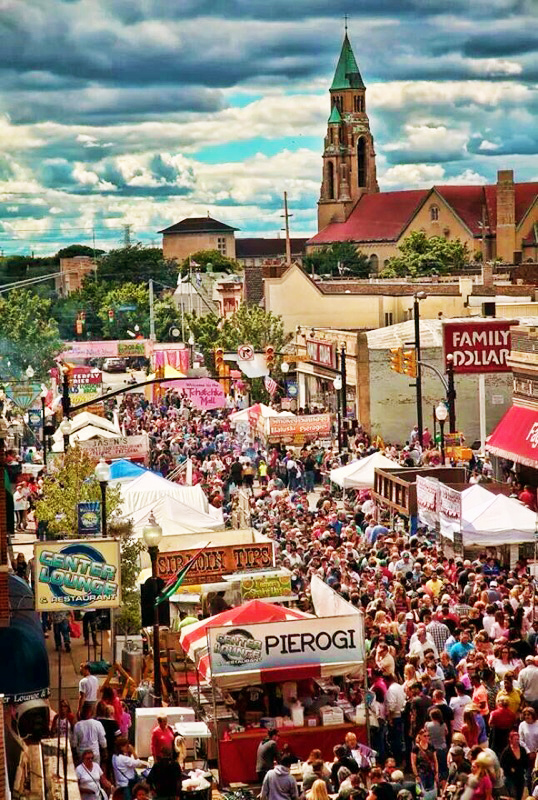 No matter the tale, Pierogi Fest brings wonderfully weird and wacky fun to Whiting’s 119th street each July. Whiting is a city located on the southern shores of Lake Michigan, born of the railroads and the Standard Oil Company in 1889. 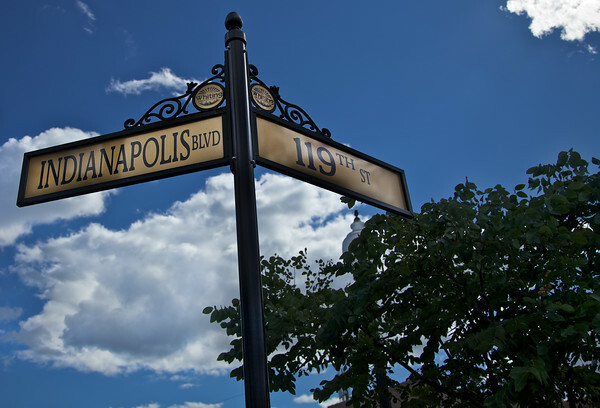 It is a city of historic buildings: The Whiting Community Center, an Andrew Carnegie library and the Hoosier Theater. It’s a community that cherishes its history and continues to celebrate its traditions. There are beautiful old homes on streets named after city founders. Whiting specializes in unique shops and family owned businesses, a rich ethnic heritage and diversity, with festivals, summer concerts and parades. Whiting is ideally located 30 minutes from downtown Chicago. Robertsdale is an adjoining neighborhood to Whiting. Although part of the City of Hammond, the boundaries are blurred, and we exist as one big, happy community. The Whiting-Robertsdale Chamber of Commerce exists to create worthwhile, rewarding experiences for visitors and Chamber merchant members. These experiences may be events, daily experiences in the community or by meeting the needs and goals of visitors and Chamber merchants. The Chamber joins together to improve the community for its residents and to foster business development. The Chamber supports Supports the broad spectrum of Chamber membership across the Whiting, Robertsdale and North Hammond communities and beyond. At its core, the Whiting-Robertsdale Chamber exists to inspire valued experiences for families and friends across the community. In addition to Pierogi Fest®, The Chamber of Commerce organizes several other events in Whiting throughout the year. Learn more about events such as Wickedly Whiting, Pirate Pub Crawl and Superhero Saturday on their website.